UMC’s Stainless Steel hatches are the perfect option for an enclosure in a harsh and caustic environment. Our stainless hatches are fabricated using high quality corrosion resistant 304 Stainless Steel that maintains excellent weld-ability to the deck of your vessel. 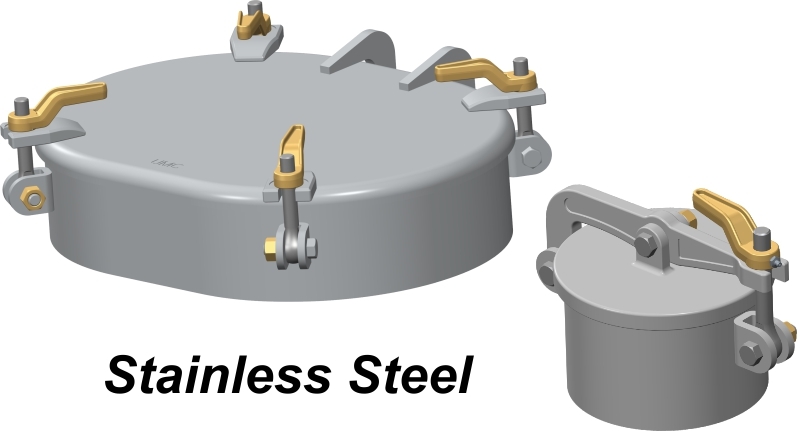 We offer various Oval and Round Stainless Hatches that are raised or flush. Various coaming heights and hardware options are also available to meet your specific requirements.